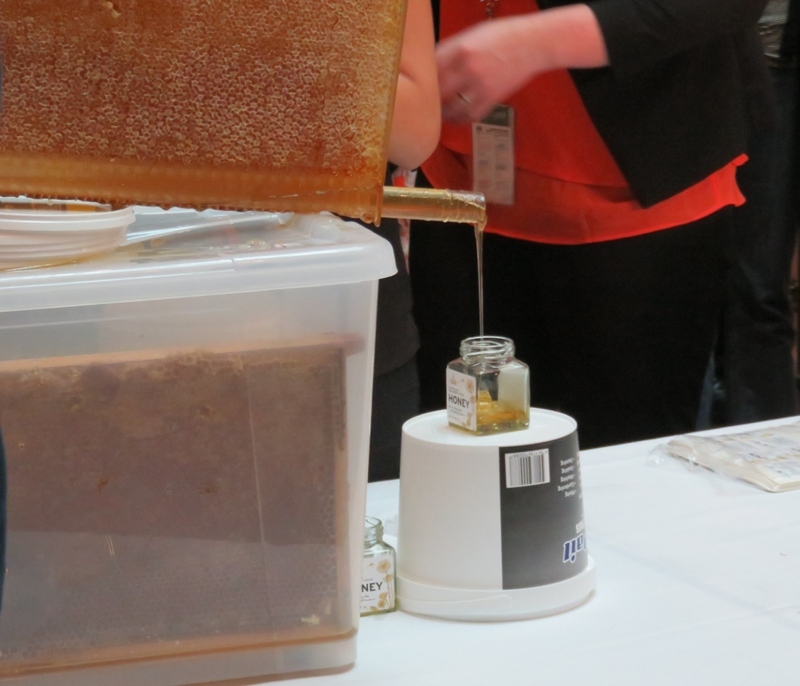 Australian Parliament House honey harvest for Christmas! The beautiful Great Hall of the Australian Parliament House is not the first place you would imagine a bee harvesting ceremony to take place. 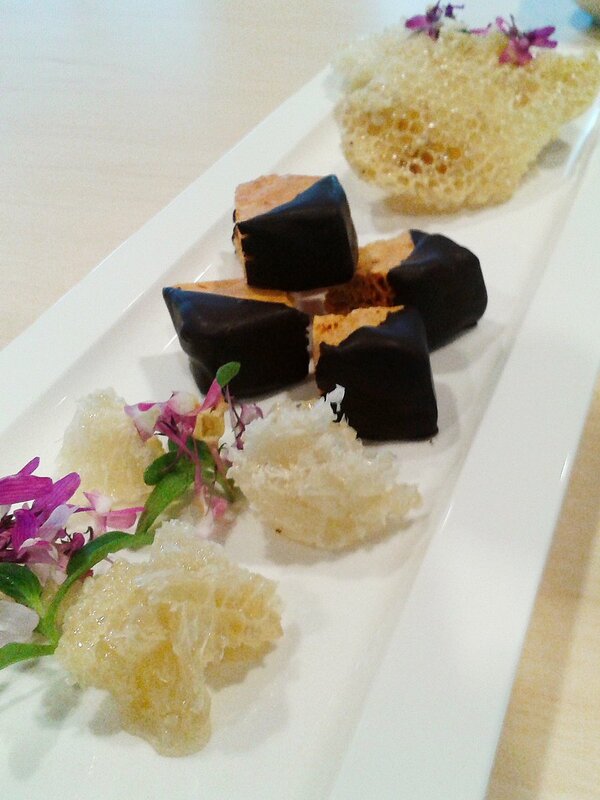 Add to that some sampling of delicious chocolate coated honeycomb and other honey inspired goodies, and you have a very popular event! 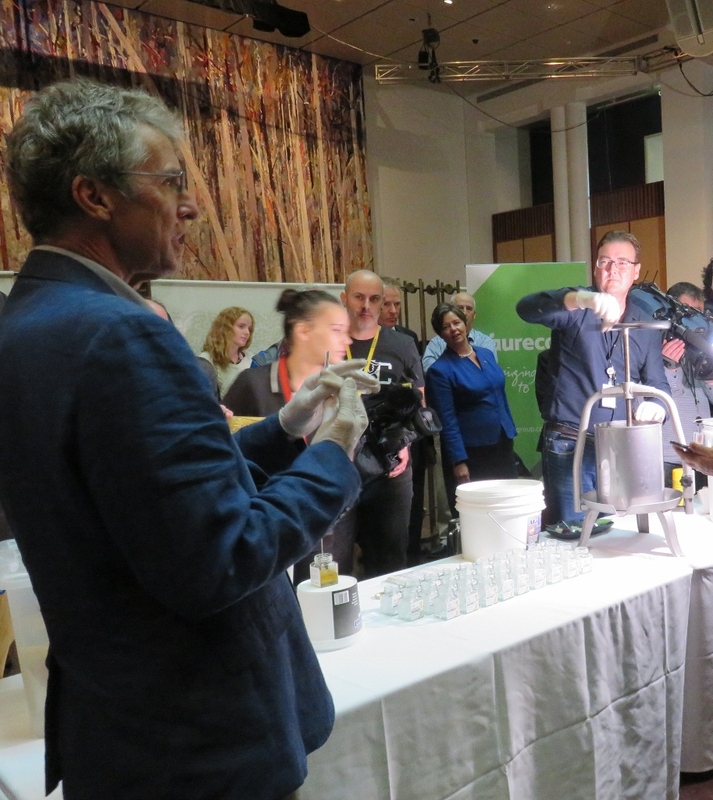 Earlier this week I joined this celebration of the first harvest of honey from the beehives in the Parliamentary Gardens. 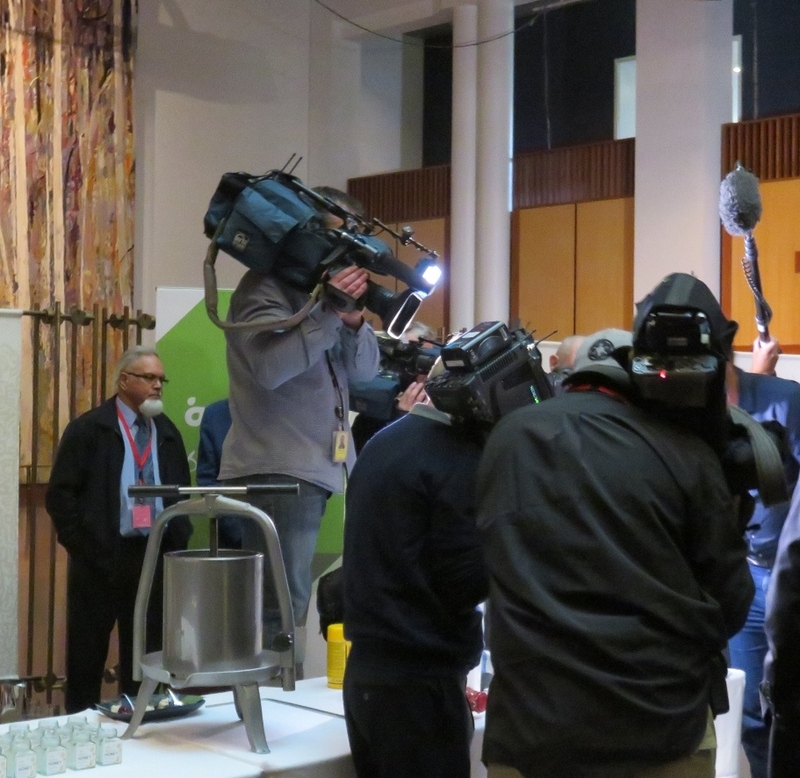 Cormac Farrell, an Environmental Scientist, and head beekeeper with the engineering company Aurecon, helped established the hives at Parliament House in 2013. 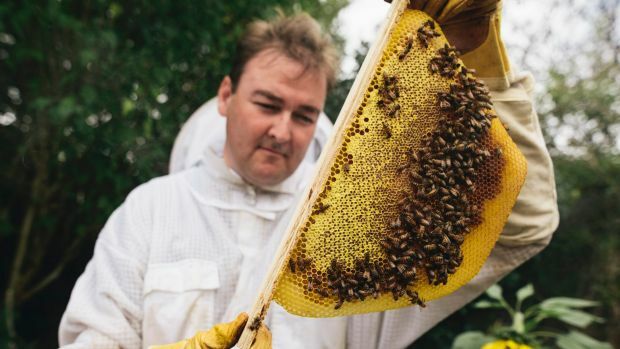 Cormac Farrell: head beekeeper for Aurecon photo Rohan Thomson Canberra Times. He said the Parliamentary garden crew have been fantastic because they maintain the gardens almost completely pesticide free. There are eucalypts trees with an understory of tea tree and cherry blossoms in spring and a big stand of Argyle apple nearby. In 1976 the first Parliamentary beehives were approved by the then Speaker of the House of Representatives, Billy Snedden. 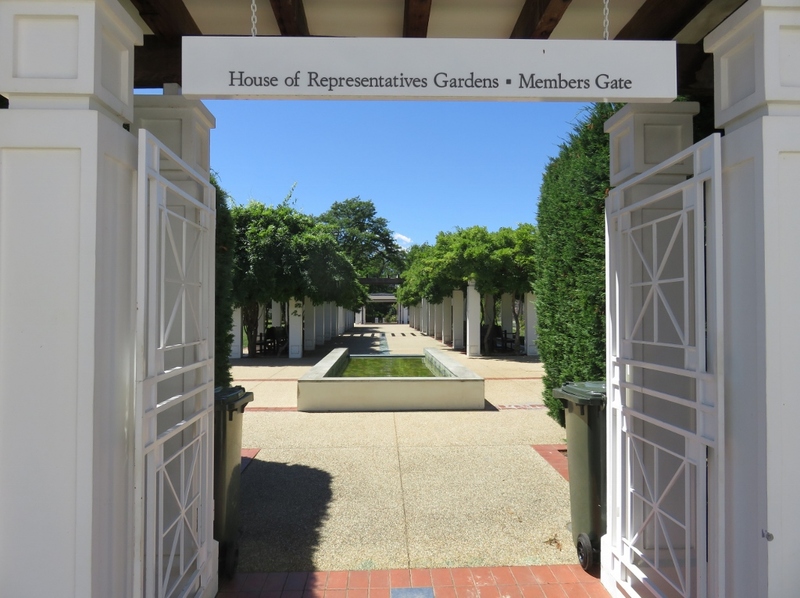 He was asked by the Victorian MP William Yates for permission to install two hives in the House of Representatives garden. As the request was made on the 1st April, Snedden thought it was an April Fool’s Joke, but approved it anyway. During the time of the first two beehives in the House of Representatives gardens, Mr Yates’ honey became very popular, and was often taken home by politicians. 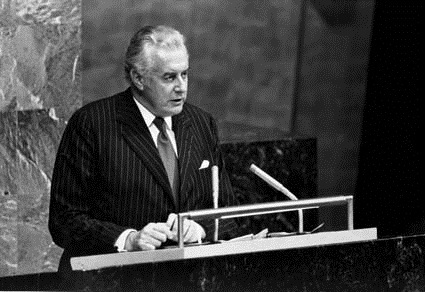 The honey was famously given as a peace offering by Mr Yates from the Liberal Party, to the Prime Minister Gough Whitlam from the Labor Party, during a particularly heated parliamentary debate. Wouldn’t it be great if honey could smooth over party tensions these days! Today’s hives at the new Parliament House gardens have the latest bee technology fitted with sensors to monitor the health of the hives as well as the Australian-invented “Flow Hive” which allows easy harvesting of honey. Father and son beekeepers, Stu and Cedar Anderson’s invention ”Flow Hive” has made beekeeping much easier. The Flow Hive works by splitting honeycombs vertically with a key mechanism, releasing honey inside and letting it flow to a tap at the bottom, all without disturbing the bees. 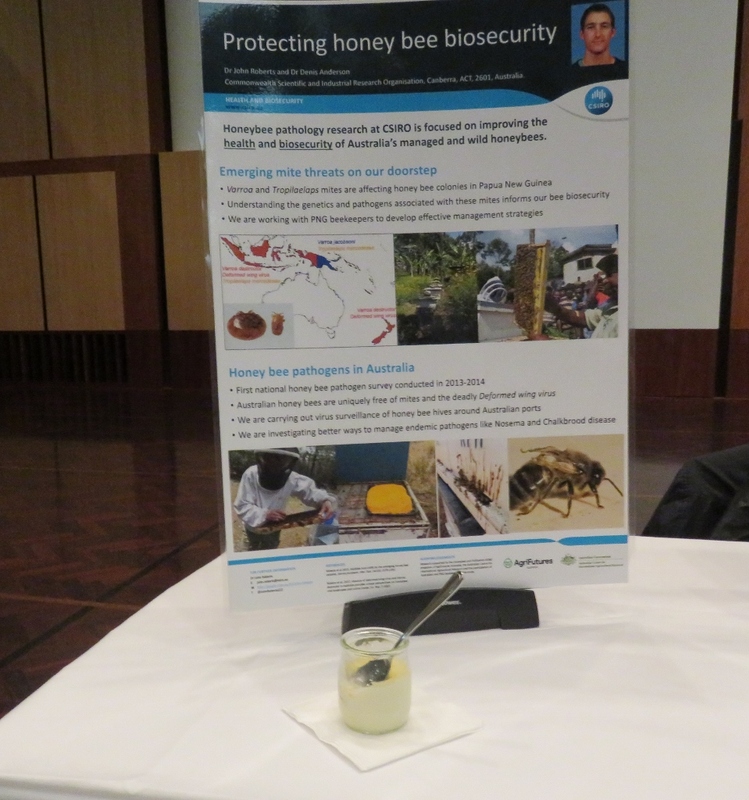 This project is a collaboration between the Department of Parliamentary Services, the Australian National University Apiculture Society and Aurecon. It might seem weird to keep backyard bees at Parliament House, but for our grandparents generation it was as normal. Bees help people understand how seemingly small things connect with big things. Our cities are not concrete jungles, we can still have plants and we can produce food, bring culture and real life to the place. Geraldine Mackey: All Rights Reserved. This entry was posted in Canberra's Public Gardens and tagged Aurecon, Australian Parliament House, backyard buddies, bee hives, beekeepers, cherry blossoms, chocolate coated honeycomb, Cormac Farrell, Eucalypts trees, Flove Hive, Gough Whitlam, honey harvesting, House of Representative Gardens, Parliamentary Gardens, Prime Minister of Australia, tea tree, the Great Hall, Victorian MP William Yates on December 9, 2017 by germac4. The invention of the Flow Hive seems a very clever idea. I enjoyed the comment on bees fro m Cormac Farrell too, what a wise man. The invention of the Flow Hive seemed very interesting, I put the website link in for people who know more about bees and honey collecting than I do. Yes, I agree re the comment, a very wise man. What an interesting post. Not quite the same as pouring honey from my native bee hive! The Flow Hive is a fantastic invention for harvesting honey. I did think of your native bee hive… Must do a post on it when we are up your way again. I Love that bees leave town when it gets too cold! I read the White House has(or did have) bee hives, one of the first countries to do so. The Flow Hive is the most interesting part. I think that is such a good idea and also setting a good example. 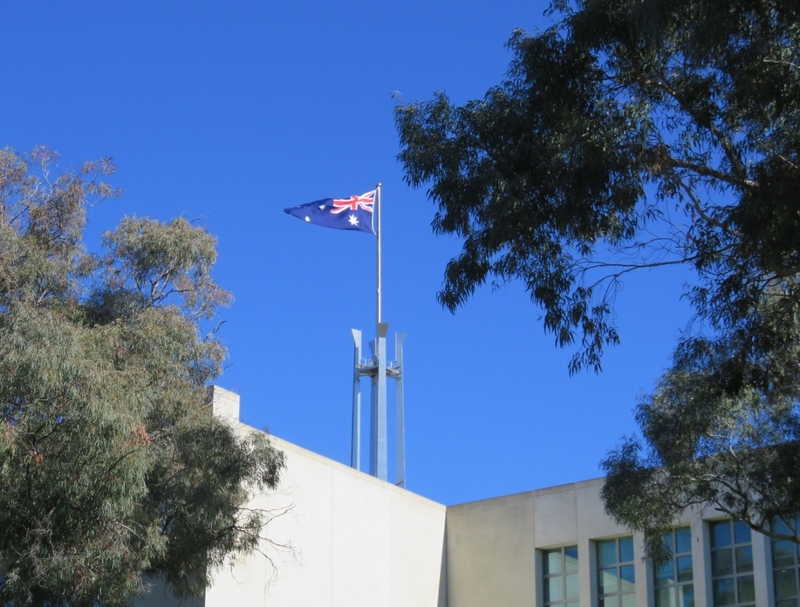 If only it could sooth the agro that happens so often in parliament house. Yes I agree … A pot of honey to sooth the dramas…. We wish! What a wonderful story wouldn’t it be wonderful idea if this was copied by all the Parliamentary buildings around the world. Yes, I agree, many Parliamentary buildings/grounds have the potential to do it, and, a good signal to the whole country about bees. That’s very cool. I wish I could imagine something like that happening at the US Capitol in Washington. Nope, can’t see it. Actually I did read somewhere that in the 1970s the White House was the first to have bee hives. I’ll check. Thanks Sylvia. Yes I agree re the pure honey, lovely! Interesting that you mentioned the White House having beehives, I had read they were one of the first Parliaments to have them in the 1970s. 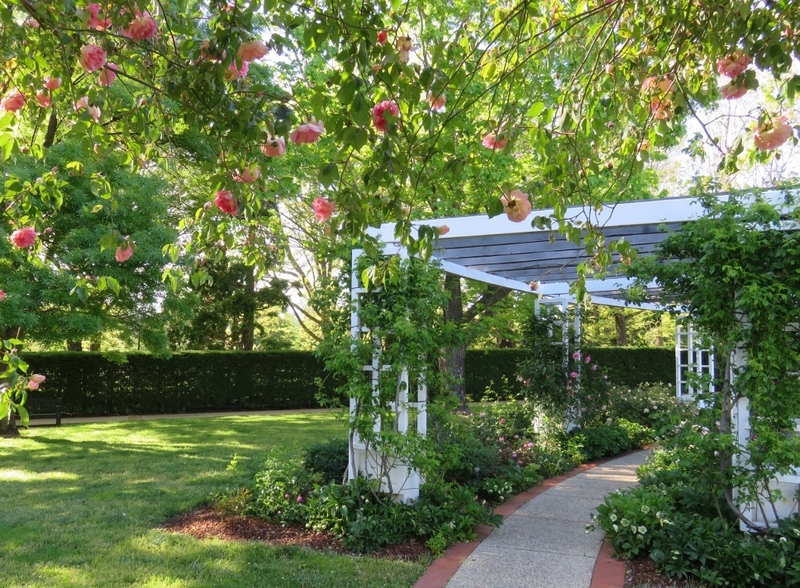 Also I know they have an extensive kitchen garden. Yes, the honey samples were fantastic! I don’t know much about workings of bees, but I’m definitely going to look out for more bee stories next year.